Boracay Island is best accessed through two airports in Aklan: the Godofredo P. Ramos Airport (also known as Caticlan Airport or Boracay Airport) in Caticlan, Malay, Aklan and the Kalibo International Airport at Kalibo, the provincial capital town of Aklan. To get to Boracay Island, passengers arriving at both airports have to be transferred to the Caticlan Jetty Port where they will take a boat to their destination. There are many providers offering transfers from both airports to Boracay Island. 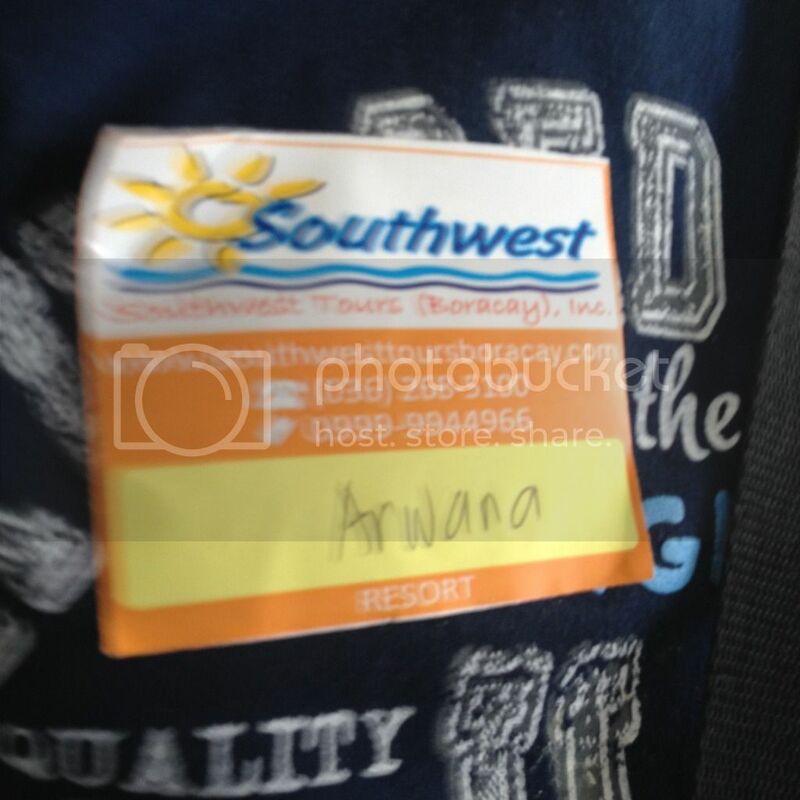 While I have no experience with other providers, my experience with Southwest Tours Boracay was just great. We booked their service through the Dizon Dy Worldwide Travel and Tours along United Nations Avenue in Manila. Our flight was from the Ninoy Aquino International Airport in Parañaque City, Metro Manila to Kalibo International Airport in Kalibo, Aklan. All we had to do upon arrival at the Kalibo International Airport was to look for the Southwest Tours Boracay booth right outside the arrival area. My name was already on the sign board for guests they were expecting. I checked in, signed the guest list and they gave us an identification sticker indicating which resort we were bound for, handed us our boarding passes for the aircon bus that will take us to the Caticlan Jetty Port, gave us coupons for the terminal fee and environmental fee, the boat tickets for the boat that will take us to Cagban Jetty Port on Boracay Island, and the passes for the van that will take us to our hotel. On the return trip, we were picked up from the hotel by a Southwest Tours Boracay employee who helped us carry our luggage into the shuttle van. The van took us to the Cagban Jetty Port where we rode our boat back to Caticlan. From Caticlan, an aircon bus took us back to Kalibo International Airport where we were to take our flight out to Cebu. While we had to wait for a while for our bus at the Caticlan Jetty Port, it's a good thing that Southwest Tours Boracay has an air conditioned passenger lounge, although it was not big enough to accommodate all of us. 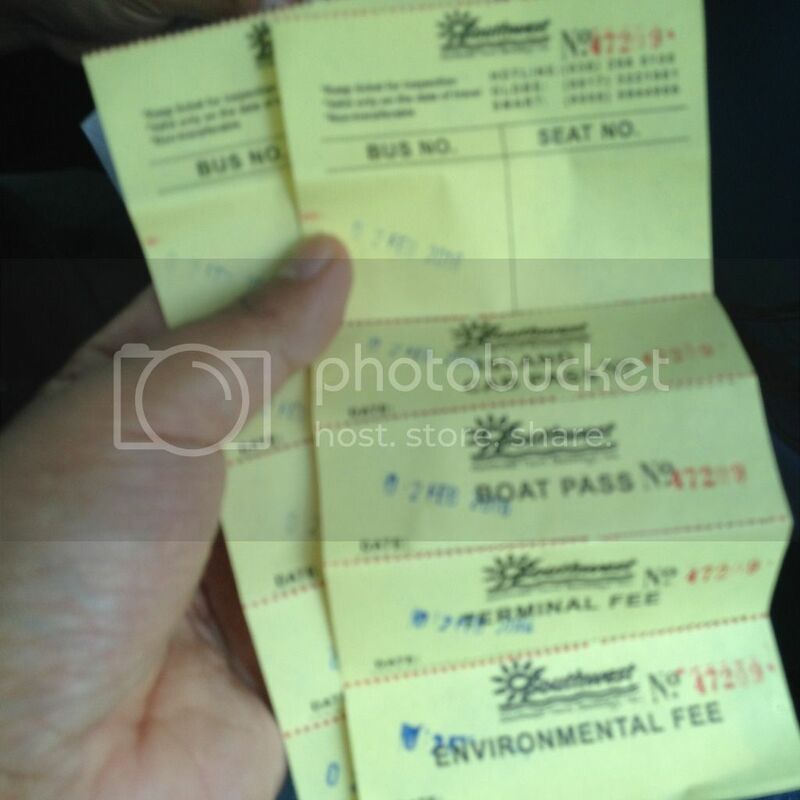 All these cost us PhP 700 per person for a round trip transfer, cheaper than what is published on most hotel transfer packages which is pegged at the minimum of PhP 1,000 from Caticlan and PhP 1,200 from Kalibo for round trip transfers. The rates will probably be cheaper when you book directly. The good thing about Southwest Tours Boracay is that they own their vehicles and they are not chartered. So the buses on the mainland, the boats that ferry their guests to Boracay island, and the shuttle vans that take the guests to their hotels are all property of Southwest Tours Boracay.